Rewards Canada: 2015: The Year Credit Card Rewards Come Crashing Down to Earth? Short answer — yes. But before you get alarmed, credit cards are and will continue to be one of the easiest ways to earn rewards for travel, cash back and more despite pending changes. However, moving forward it will take longer to rack up points and as a result we can expect big changes in the payment card landscape and of course to our Top Travel Rewards Credit Card rankings! Over the past couple of years the value of miles/points/cashback for every dollar spent on a credit or charge card has increased as card issuers battled for your business. Card holders benefited with rewards returns ranging from 1.5%, 2% to as high as a 4% on your card spending. That will change on some if not many of the cards in Canada from two of the three main credit card types by April of this year. In the 14 years since I’ve been covering the credit card rewards industry, this is the first time a self initiated industry change will have a large scale negative impact on the rewards industry. As you probably know, both Visa and MasterCard have voluntarily bowed down to pressure from the Canadian Government and the retail industry to limit the interchange fees charged to retailers each time a purchase is made with one of their cards. This agreement is set to start in April 2015 and will have the Visa and MasterCard interchange rate set at an average of 1.5% for five years. There aren't a lot of details surrounding this agreement but just a simple look at the numbers suggests card issuers can't give rewards of 1.5%, 2% or higher when they are only earning 1.5%. When this same situation arose in Australia, rewards were cut back and card issuers also took other measures to make up for the loss in revenue. How much will rewards be cutback? 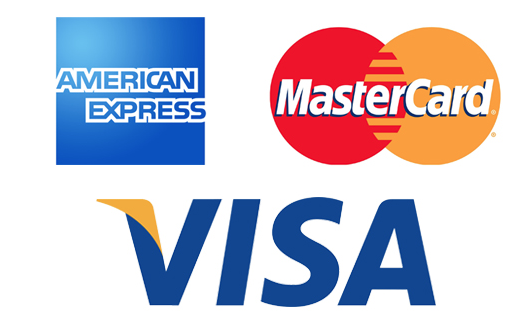 We don't know yet but if you read into the agreed upon interchange rate, the word 'average' is used which leads us to believe Visa and MasterCard may actually still charge a higher rate for premium cards and a rate below 1.5% for non-premium or non-rewards cards to achieve that average 1.5% rate. How do we know this is going to happen? Australia is a great example but sources at one of the top rewards cards have indicated to us that they'll be lowering the per dollar earn rate when interchange changes kick in. American Express is not part of the interchange agreement and as result their reward offerings shouldn't change. In fact, the interchange fallout could translate into a boon for American Express since, theoretically, they should be able to provide higher reward earnings per dollar spent than Visa or MasterCard. Of course, a potential pitfall for Amex may come in the form of a retailer revolt as other major players (and there are rumours) follow Costco’s lead in parting ways with the more expensive card issuer. What does this mean to MasterCard and Visa cardholders? It means that while it may take you longer to earn credit card rewards you shouldn’t give up those premium reward cards just yet. There are ways to make up the shortfall. For example, if your annual credit card spend is $30,000 and you’re currently earning 2%, then your current return of $600 may fall to $300 or $450 per year. Making that up will depend on staying plugged in and taking advantage of the thousands of bonus offers issued by reward programs each year. Any point optimizer will tell you, to maximize your earning potential, you need to work your credit card and the bonus offers. Maybe these pending changes will force you to put those best practices to the test! Stay tuned right here on Rewards Canada or check out our global site FrequentFlyerBonuses.com for news and offers from more than 160 programs! From my understanding of the Interchange agreement it only amounts to a 700M reduction in over 7B per year in interchange fees, or 10% so if we see any more than a 10% reduction in reward value then we are being fleeced. Based on what's happened in Australia and Europe I'd bet the premium cards retain their value proposition but we'll start seeing rewards reduced or eliminated on every day cards. In both markets we've seen cash-back cards virtually wiped out in non-premium products. Yes I read that as well. Based on the info an insider gave me on one of the card offerings changing, I would be led to believe those who have that card will be fleeced unfortunately! Hopefully you are right and the premium cards aren't affected. Guess we'll see when the new card offerings come out! I'm willing to guess that co-brand cards offering a currency not from the issuer (ie Aeroplan, SPG) will more than likely be the least affected. It depends on who was paying for the currency. In Australia the Qantas and Virgin Australia cards were heavily affected as the Bank's paid 100% of the frequent flyer points. I think that is the case today with TD and CIBC that they 100% of the FFP points cost so the Gold level cards will probably take a haircut (whilst Signature, Infinite and World Elite should stay the same). It depends on so much though (like how much balance do cardholders carry as that is more profit than interchange to the banks). Now that it is public domain, the Capital One Aspire Travel World MasterCard is being discontinued but the card we were primarily referring to comes to us from a major bank with a three letter acronym and is a co-brand card for a major coalition program. That hint should give it away.